We are delighted to have moved into our new offices. 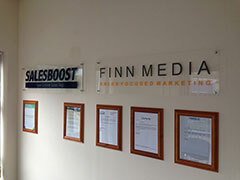 Check out the new signs as testimonials wall. We would love to know what you think.